OnePlus has incorporated amazing gestures on their OnePlus 6T model. If you love convenience which comes with using an intuitive device and quick navigations, then you need to master these gestures. Not only will these gestures help you to quickly navigate the user interface but they will also make the user interface appear fancier. OnePlus 6T has an easy way to get you started on using gestures. Though you may take some time before you are fully accustomed to using gestures, once you get the thrill of it you will never go back to using the fixed navigation. 2. Tap the “Buttons” option in the settings interface. Select the “Navigation Bar and Gestures”. 3. 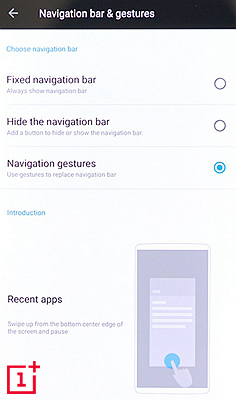 Tap the “Navigation Gestures” to enable the gesture-based navigation. You will get a short demo at the bottom part of the screen showing you how to use the navigation gestures. You will also notice that the navigation bar is hidden and the user interface occupies the whole screen. There are three main navigation gestures which you can use. The first one is the swipe up from the bottom center of your screen which will take you to the home screen. The second one is the swipe up from any of the bottom edges of the screen and this will either close an app or take you back to an open app. The third gesture is the swiping up from the bottom of the screen and pausing in the middle of the screen. This navigation gesture will open the multitasking pane. These are gestures which can be performed while the screen is on. These system gestures are two. The first one is the ‘flip to mute’ which mutes an incoming call when the screen is turned downwards. The other one is the “Three-finger Screenshot” where users can take screenshots by swiping three fingers across the screen. Under customization, tap the “Gestures” button. You will be taken to gestures interface with system and screen off gestures. 2. 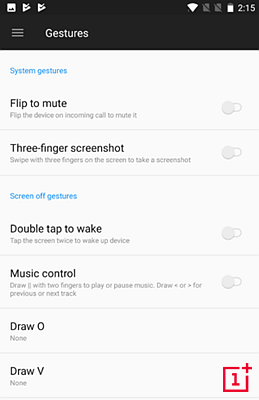 Under the system gestures, toggle the “Flip to Mute” button on. You will have enabled the “Flip to Mute’ system gesture. 3. To enable the “Three-finger Screenshot” tap the toggle button on the right side of this option from off to on. These gestures enable users to perform different tasks while the screen is off. 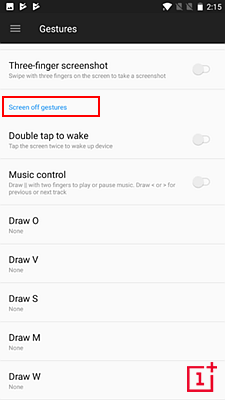 To enable these gestures you just need to use the same steps given above on how to access the system gestures. Below the system gestures, you will notice a subsection named “Screen off gestures”. Below this subsection, you will find the various screen off gestures which can be customized. To enable a screen off gesture, just toggle the button next to it from off to on. There are two main screen-off gestures which have already been assigned specific functions. The first one is the Double Tap gesture. Once enabled double tapping the screen will switch the display on. The other one is the Music Control gesture. Once enabled drawing two vertical lines (||) will play or pause the music. Making < or > shape on the screen will make the player move to the previous or next track. The other screen-off gestures are customizable. This implies that you can assign specific functionalities to each of these gestures. Once you draw the given shape, that specific functionality will be activated. Use the above gestures incorporated in your OnePlus 6T and gain more control over your phone. 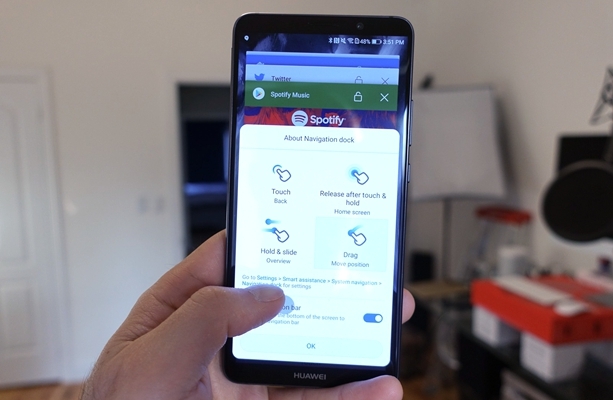 These gestures will benefit you by helping you to quickly perform different actions on your phone, increase the overall convenience of using your device, and free up the screen space by removing the navigation tab.